Europe’s game makers are a talented bunch. It took us quite a while to whittle our list of “ones to watch” down to just five, but whittle we did. Here are the European studios we believe are making some of the most interesting new games on the App store – plus what they are working on next. This Cambridge-based UK studio is focused on making Augmented Reality (AR) games. Founded in Sep 2016, the growing development teams includes former ARM, Sony and Disney talent. 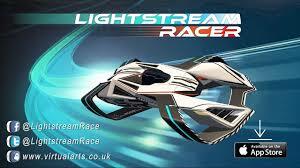 Virtual Arts’ debut game Lightstream Racer is really clever – it generates a futuristic racing track around you in AR. From there, you race – staying steady on the throttle while spinning yourself around to keep track of the action.